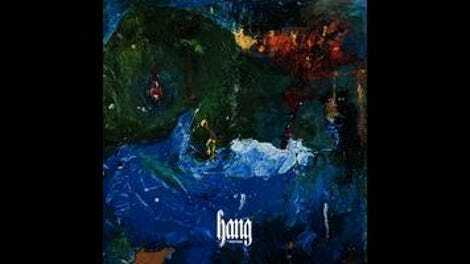 Frequently compared to rock icons such as The Rolling Stones and David Bowie, which have been warranted in the past, Foxygen goes a decidedly different route on its fourth LP, Hang. Here, the L.A. act, composed of the duo Sam France and Jonathan Rado, emulates the Day-Glo ebullience of producer Dave Fridmann’s Flaming Lips and Mercury Rev albums, with kitchen-sink ambition courtesy of a 40-piece orchestra, assisted by Matthew White and conducted by Trey Pollard. Also crashing the party are guest players such as The Flaming Lips’ Steven Drozd and The Lemon Twigs’ Brian and Michael D’Addario. The band fortunately wears the opulence well throughout, as these pieces and guests embellish when they could easily clutter. This is perhaps Foxygen’s most ambitious album to date, and few would suggest that the act’s played it safe thus far. But while the band’s overall discography has been a mixed bag, on Hang, Foxygen hits its stride, a well-oiled machine confident in its surfeit of songwriting abilities and wieldy powers. 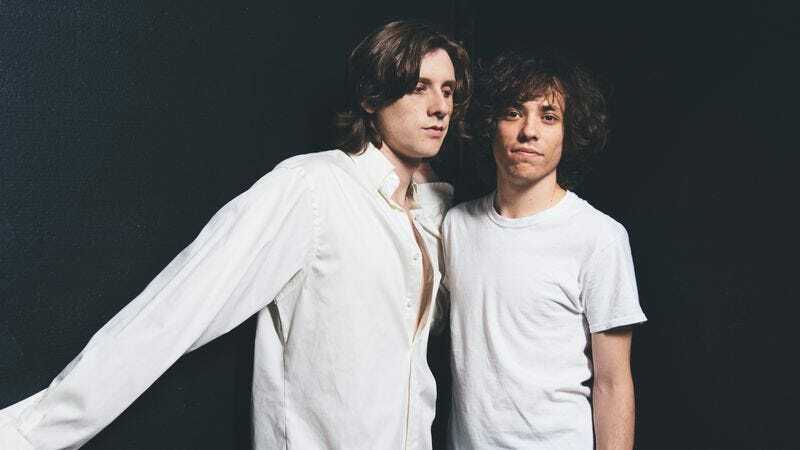 Foxygen doesn’t attain the universal connectedness of The Soft Bulletin, or the heart-wrenching yet divine anomie of Deserter’s Songs here, but manages to pare its vast reach into something eminently enjoyable. “Trauma” aches tremulously, with France effusively baring his soul as he croons, “How can I love you if I don’t know who you are?” with big-band orchestration providing a vertiginous sway, while the resplendent “America” is undergirded by a supple marching-band beat matched by time signature shifts and playful pop moves redolent of some of the best Elephant 6 acts of the ’90s. The vignette “Upon A Hill” is a welcome respite from the prog instincts that imbue much of the album, pure camp and sing-song frivolity, but Hang ultimately swings for the fences, as on the high-voltage clarion march of “Rise Up,” in which France urges with disarming vulnerability, “Everybody wants to change the world / Everybody wants to save the souls.” Foxygen wants these things too, sonically. And while masterpiece status isn’t attained here, the band—like Jack Nicholson attempting to rip the sink out of the wall in One Flew Over The Cuckoo’s Nest—still manages to give it hell, and in the process sculpts a riotous, joyful mélange of noise. Purchase Hang here, which helps support The A.V. Club.